Our next client contacted us with concerns regarding the hazardous substances his employees were being exposed to during a typical working day. The main hazardous substances employees are exposed to are various solvents such as; methanol, acetone, isopropyl alcohol, toluene and chloroform. These chemical compounds are used in a laboratory in millimetre to litre quantities and the volume of proceed samples is typically between 5-8 litres a day. The company operates from an industrial unit in Rotherham, which is separated into administrative, laboratory and storage areas on the ground floor and further administrative areas on the first floor. The company specialises in oil analysis for industrial customers. The general ventilation in the building is provided by two wall mounted air condition units and an exit door. Typically, two technicians work in the laboratory where the exposure time is considered to be 7 hours and 50 minutes. 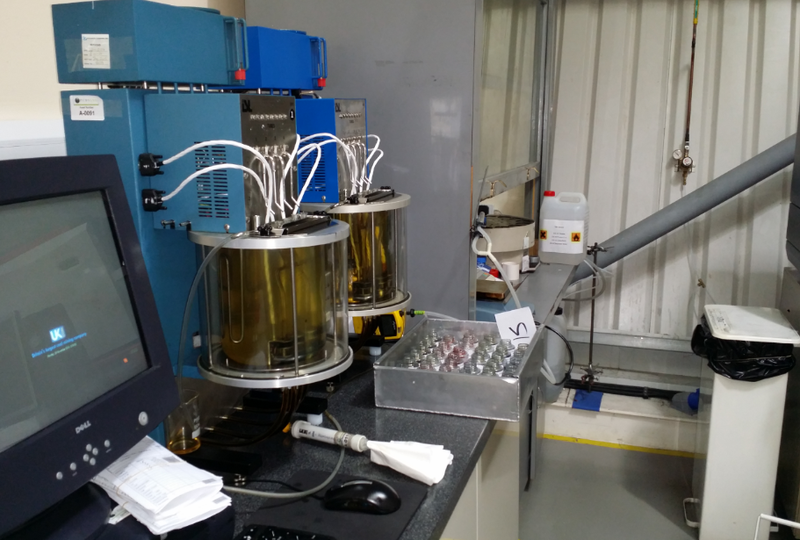 Oil samples are processed, divided into batches and analysed in the laboratory. Samples are analysed for ferrous contaminants then chemically analysed by ICP/OES which is fully equipped with a dedicated local exhaust ventilation system. 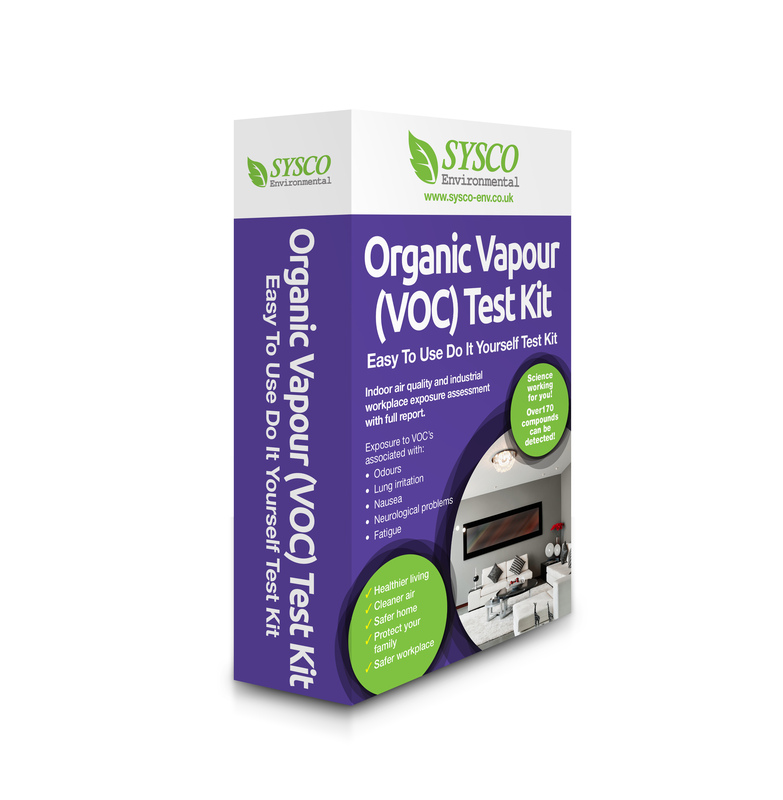 Water content, acidity and alkalinity tests are all performed in the fume cupboard but all other tests and sampling processing are carried out without air extraction. What samples needed to be collected? In order to calculate the daily personal exposure to employees, our surveyor required a variety of samples. Using Casella and Gillian personal samplers, he collected samples for airborne particulates and vapours with the sampling flow rates calibrated prior to, during and after sampling using an FM 6 (0.3-3.0l/min) working flow meter and a Defender 510m primary calibrator. 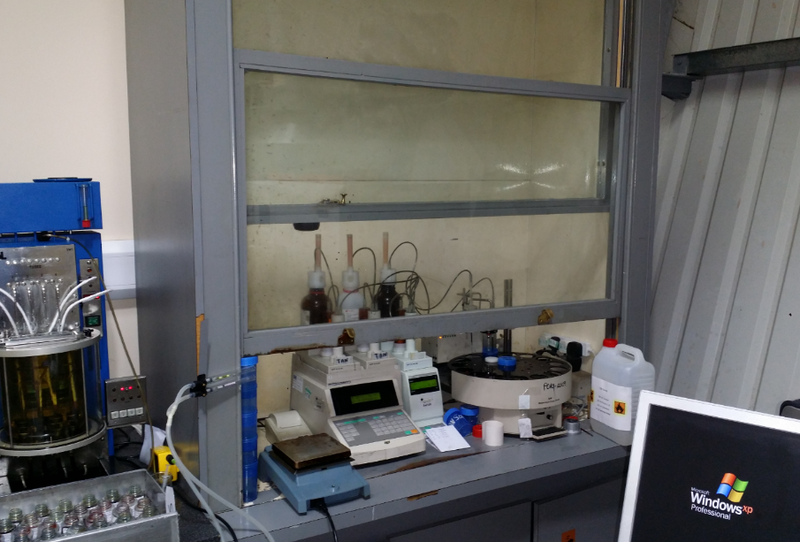 Samples for Iodine and Sulphur dioxide were both collected using a low flow sampling head fitted with anasorb 747 sampling tubes with the sampler set to a flow rate of approximately 250 ml/min. Whereas samples for Hydrochloric acids were collected using a low flow sampling head, but fitted with Orbo 53 sampling tubes. For this the sampler was again set to a flow rate of approximately 250 ml/min. Finally we required samples for oil based metal working fluids, which were collected using a 7-hole sampling head fitted with QMA filters (25mm, 1.6µm). Are employees exposed to substances above WELs? As a result of air monitoring we were able to conclude that employees are unlikely to be exposed to levels of volatiles, sulphur dioxide, oil mists and hydrogen chloride above the workplace exposure limits (WELs). Therefore no further measures need to be taken in order to reduce the concentration of contaminants within the workplace. The assessment also indicates that a formal health surveillance programme is no necessary however it is vital that all employees are provided with adequate training regarding health risks from hazardous substances in the workplace, control measures, their use and maintenance. Employees should then be provided with refresher training at least once a year.